SLSWA has State-wide standard operating procedures for shark sightings, including guidelines on when to clear the water and close a beach, and how long a beach should remain closed. When swimming at an unpatrolled beach, please remember that Rangers are not always close-by to respond quickly to a shark sighting (particularly in regional areas). So it’s important water users take responsibility for their own safety and check the latest reported sighting and tagged shark detection information on the shark activity map and follow our common sense tips. The Western Australian Government provides funding to SLSWA to operate two lifesaving helicopter services, the metropolitan based Westpac Lifesaver Helicopter and the South-West Lifesaver Helicopter. The metropolitan service based at Rous Head, North Fremantle patrols between Port Bouvard and Yanchep, and Rottnest Island to the west. Patrols are scheduled on weekends throughout September and daily from 1 October 2018 to 30 April 2019. The South-West service based in Busselton covers popular coastal destinations between Bunbury and Margaret River. Patrols are focused on weekends, and public and school holidays between 1 September 2018 to 28 April 2019, including daily flights from 19 November to 3 February. The helicopter service provides many benefits including the ability to directly communicate with the public; when a shark is sighted at an unpatrolled beach, the helicopter will sound its alert siren from the air. In addition, the crew are medically trained and equipped to assist in a real time emergency when needed. Details on patrols for your WA beaches can be found at Surf Life Saving's Beachsafe website and app. 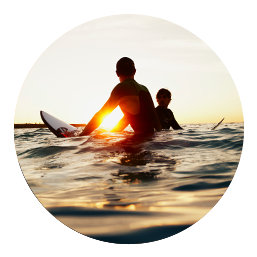 Beachsafe has details for 3,494 Western Australian beaches, including patrol information (where applicable), hazards and warnings, weather information, beach information and hazard ratings. 12 new jet skis to SLSWA, providing an additional tool to boost public safety at beaches. Two new life guard stations at Cottesloe Beach providing a vantage point to look out for sharks and other safety hazards such as rips. Similar stations have also been erected at North Cottesloe Beach, funded by the Town of Cottesloe and at City Beach, funded by SLSWA. A drone trial to monitor beaches at a number of metropolitan and regional beaches between November 2016 and January 2017. The Western Australian Government has committed $3.4 million in funding for 2018/19, to ensure that SLSWA can continue to monitor and patrol our coastline. The program includes aerial and beach patrols, coordination of service and emergency responses via SurfCom communications centre, a jetski response team and the use of drones to monitor beaches.